“Seeing 30,000 people turn out on the streets for the peace march after her murder and seeing the way that people were engaging around issues affecting women.” Renee Carr. We are living in a unique moment in Australia’s history. Family violence is being called out for the crime that it is and Renee Carr is determined not to let this chance slip. She co-founded Fair Agenda, a community campaigning organisation made up of 35,000 Australians who care about a fair and equal future for our gender. Together they demand better from our politicians, media and business leaders – and good news folks, they’re cutting through! Martine Harte: Renee can you take us back to when you decided it was time to establish Fair Agenda? Renee Carr: I live in Brunswick and it was after witnessing the response to the horrific attack on Jill Meagher. Seeing 30,000 people turn out on the streets for the peace march after her murder and seeing the way that people were engaging around issues affecting women. Seeing that engagement around issues that at the heart are around issues of systemic inequality towards women and not seeing that flow into any kind of movement for ongoing change for me was the catalyst for starting Fair Agenda. Renee Carr: A number of other people had been having similar conversations and I was lucky enough to connect with them. They became Fair Agenda’s co-founders and founding boards, really incredible women who have worked in the social movement space for a number of years. Many of think we would like to do something but don’t realise others may be thinking the same thing, there’s a message in this isn’t there? Many of us think we would like to so something but don’t realise others may be thinking the same thing, there’s a message in this isn’t there? Renee Carr: Absolutely, it really speaks to ‘need’ and being able to combine different expertise and different perspectives is really powerful in developing initiatives that help add value to our community. Fair Agenda co-ordinates targeted actions we can all sign your snap petitions, chip in to fund high-profile advertising, harnessing social media. Tell us a bit about that? 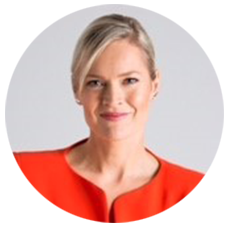 Renee Carr: For example, this year on Mother’s day when (then treasurer) Joe Hockey announced the intention to cut paid parental leave, our community came together and got involved in a snap petition to show the broad community opposition. In the months that followed organised community driven actions to put pressure on the crossbenchers who would decide the fate of that legislation – to show the people were really opposed to that change and the harm it would have on women and on families. Such a clever modus operandi because politicians are driven by their constituency and what’s going to happen at the next election. You guys were showing power in numbers weren’t you? Renee Carr: Absolutely and we know that being able to show broad community support or opposition for an initiative can often be the decider in proposals or issues that are at a tipping point and that’s the area Fair Agenda operates in. Fair Agenda managed to secure $4 million additional federal funding for family violence support, amazing work! Renee Carr: On Budget night this year we escalated a massive campaign recognising that in the previous Budget the government had actually announced cuts to a number of critical family violence services and those cuts had only made the media cycle in February when Rosie Batty started talking about them. Family violence is an issue that affects an horrific number of women and is linked to the murder of on average one women a week. The fact those services have been cut has an horrific impact and that’s an issue that took seven or eight months to get any kind of media cut through. We knew that in order to address family violence, we don’t just need to address cuts to family violence services we need services fully funded. In Victoria we’re in a context in which annually the Victoria police respond to about 70,000 incidents of family violence and the specialist family domestic violence response sector is only resourced to respond to about 6,000 cases. There’s a massive need and when women reach out to escape their abuser they are often in increased danger so the ability for family violence service workers to support them during that time is absolutely critical. So at the moment thousands of women are in danger. In the lead up to the Budget we worked with a service to work out what that core funding looked like and then launched that report on the Project, in a segment which is now somewhat infamous with Waleed Aly calling on the government to show them the funding on family violence services. Within four days and all the media pressure the government announced they would be providing $4 million dollars of extra funding over 2 years to 1800 RESPECT to fund the gaps. That was a really positive step and the campaign goes on. Renee Carr: I can never pinpoint an exact moment, but I think what is most formative in my younger years I was a history nerd. When I was younger I read a lot of books about history – one of the particular areas was around World War 2 – and reading about the holocaust and recognising at that young age (before I had a bunch of filters on my understanding of the world) and just seeing the absolute horror people will commit to other people really shaped my engagement. I’ve always be incredibly inspired by resistance stories in oppressive regimes and how people in the most horrendous circumstances stand up for victims of oppression. I think particularly when it comes to inequality the thing I found really important in understanding the problem,is understanding issues of oppression. A key way to doing that is speaking to a group of people affected by the problem. If you would like to join Renee and the movement just tap this link, it’s easy! Next week: we bring you an exclusive interview with Australia’s Ambassador for Women and Girls Natasha Stott-Despoja. Posted in Ambassador for Good, Career insights, Elevate your voice, Interviews Engaging Women.